In my previous post I ended up writing an overview of the changes over the time of the last 24 years since I personally date “mental health reform” commencing in this country as being the year 1992 when news of the beginning sweeping changes (at first budgetary adjustments due to the falling state’s revenues during the implosion of the Big Three Automakers) that surfaced in Michigan under then Governor John Engler. In short the progression went something (very approximately) like this: cutting of mental health budgets, closing of public inpatient psychiatric beds (downsizing of out of date, out of code, aged state hospital relics), closure of multiple facilities, conversion of the “county mental health center” based system of care delivery from the 1963 JFK Comprehensive Mental Health Center Act (that name is from memory and may not be completely correct) to regional agencies that covered larger areas and population groups, conversion from combined state and county funding to various forms of block grant funding still heavily reliant upon federal Medicaid funding (this is ‘mucho importante’–as my Texican father would say for emphasis–and must NOT be forgotten as it is still pivotal today), to beginning versions of degrees of privatization of these regional mental health care delivery agencies, opening outpatient mental health services to entrepreneurial provider-business groups who were somewhat free to pick and choose what types of services they wished to deliver and which they wished to avoid and not pick up. In the early phases of this general blueprint of national mental health reform, as it came to assume the stature of as more states adopted this governmental approach, there was much optimism that fueled understandably this effort. Many different groups seemed to be more involved than ever before, including private enterprise, a novelty in and of itself. The boundaries between private mental health care centered previously in private free standing psychiatric hospitals and units in private community or university medical centers and the world of private office psychiatry, and (whew), the worlds of public mental health centers and state psychiatric hospitals began to blur especially on the outpatient side of things. Hospitals bought psychiatric practices as they had been doing with medical practices. Small private psychiatric groups either had to greatly expand numbers of sorts of practitioners and services (more non-MD staff and services) and expand patient volume, or be absorbed by hospitals that had gobs of capital and could assume and handle the higher and higher costs of overhead (billing especially which became a nightmare in the late 1980’s), or close. There seemed to be at least in my part of the world a phase of retirement by choice of more than the usual attrition-retirement rate of private psychiatrists. I recall a medium small city of less than 100,000 in which all three private/public child psychiatrists other than myself left practice and the area in the mid 2000’s as the enormous forces of the change washed over the practice world. A number of practitioners affiliated with highly capitalized hospital groups and survived in that manner. Others simply moved lock stock and barrel in more affluent metropolitan areas with strong economies and higher standards of living to a cash only, no insurance practice model that had long existed especially in affluent cities with large university medical schools and departments of psychiatry that quietly influenced their training program graduates to stay in those areas and practice the solo cash only model since the 1960’s or so. Now I think we are in the post revolution phase. Many models are in use, many are finally getting stable footing, strengths are being recognized and resources more appropriately developed and mobilized (mobile crisis intervention and outreach ACT teams). Similarly on a not so good, no reason for victory dances yet, side of things that deficits are now more glaring than ever. Inpatient services have contracted dramatically everywhere. Private psychiatric hospitals closed or were converted to other uses, some nationally sized private psychiatric hospital chains closed dramatically in the very early 2000’s as once abundant insurance reimbursements (at least a fair to a hefty portion of such poorly managed and spent causing 20 years of a “private psychiatric hospital bubble” to implode. Inpatient beds decreased in this country for mental health treatment decreased perhaps by as much as half which is mind bending if one ponders that as the population was still growing, drug abuse was increasing exponentially. Even the VA Hospital system was not prepared as seen in its inability to handle and furnish adequate services for several years after Desert Storm (brief as it was) and especially after the War on Terror began in earnest in 2003 with Iraq. 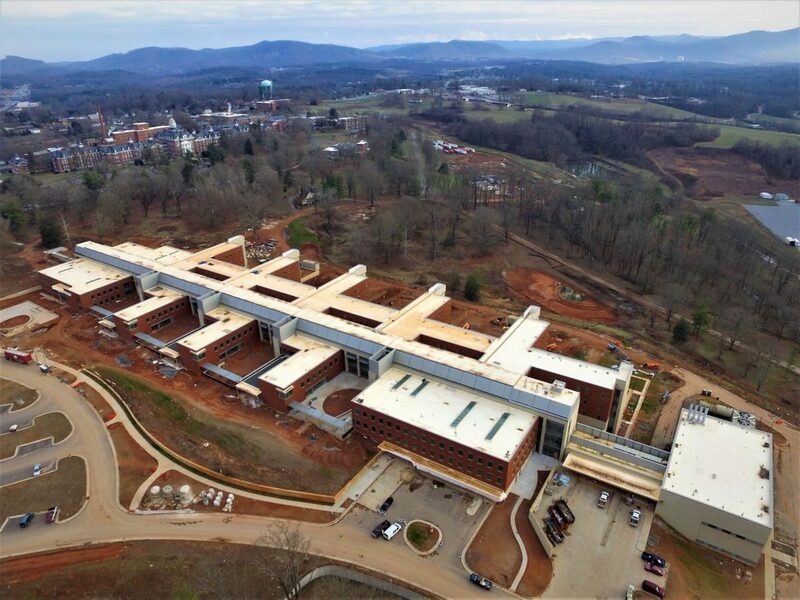 The VA Hospital went through its own version of excruciating upheaval as it had to “reform” its mental health services, head rolled, appointment scheduling scandals erupted (please recall the Phoenix Indian School Road VA Hospital mess ten years ago). The streets, ERs, and jails became the new “receiving units” for the chronically and acutely mentally ill, the trans-institutionalization consequence of the above shrinkage of the existing5130-year-old mental health infrastructure. This has been and is still being more than adequately covered in local, regional and national media of all types and I will not further belabor here. I would like to direct our attention to one new and not so new treatment model that is making a comeback in the midst of all this controlled change and “disruption” of existing models (Internet speak), or paradigm shift of the philosopher Clifford Kuhn. That is inpatient psychiatric treatment without psychiatric medications. At the top of this post is a picture of a psychiatric hospital Asgard, in Trosmo, Norway (I must confess I am totally unschooled in the existence of either before I found this blog post article). 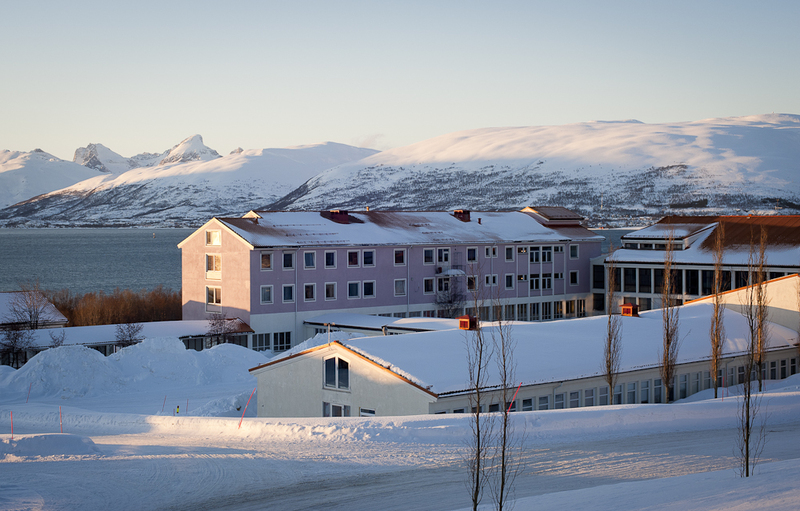 This hospital is as the article/post details 215 miles north of the Arctic Circle. I have lived for some months on three occasions in my youth following my peregrinating international rambling mining engineering father to his contracted job sites that were snowy cold climates but none of them would compare at all to what I imagine the clime of this location. The means by which I came upon this article entitled, “The Door To A Revolution in Psychiatry Opens,” is worth detailing. The author of the blog post is Robert Whitaker, a journalist and author of two books about the history of psychiatry, one of which I have and have read with great enjoyment, fascination and a good for the soul dose of humility, Mad In American: Bad Science, Bad Medicine, And The Enduring Mistreatment Of The Mentally Ill [click link for Amazon review etc.]. Mr. Whitaker is in the foe of psychiatry camp along with perhaps better known anti-psychiatry physician Peter Breggin MD. Mr. Whitaker’s book focuses on the failings and disasters, failed theories, bad side effects of many psychiatric medicines and so on. In all fairness I follow him with searchbots on the Net and this turned up. If you loathe all things psychiatric, then this is one of the books for you in truth. Form my point of view it is a needed viewpoint and one to help us in the guild…though I do not think of myself as all that nefarious and evil, and talented writers such as he are to be commended and accepted for their necessary work. So why is this seeming sidebar important in this post? Mr. Whitaker is a founder of the aforementioned blog, Mad In America and his perspective and where he starts from is reflected in the blog and his book. And the article in the blog that one of my trusty bots found which is referenced for the intrepid reader above, is about the manifestation and another test and trial of medication free treatment. This is being conducted by well meaning and very well trained professionals. From the blog’s post which is very lengthy (even moreso than my usual oververbal posts) details the enormous and creditable preparation that has gone into this movement in Norway. This is no heretical nut job splinter movement. The government of Norway is mandating the trials of this mode of inpatient treatment which is apparently being, or gong to be tried in other psychiatric hospitals as well. The post makes for absolutely fascinating reading. In the United States we have had a few experiences with such models in this general realm. A few exclusive (I guess that would be an appropriate word to apply to hospitals for the wealthy and famous) psychiatric hospitals tried this approach on small scales in those heady days of the 1960’s and 1970’s when some might say a bit derogatorially, “anything went.” Most of the practice groups were spearheaded or led by charismatic psychiatrists operating within a small clique or group with similar beliefs. In Great Britain the most well known, at least in hippie and college circles in those years was Ronald Laing who treated psychotic patients with little or no medicine, small patient units, and great amounts of time spent in individual and group therapies. Dr. Laing wrote a number of books over a span of almost 2 decades but his book, The Divided Self, is what put him on the map internationally. Almost every student in psychology in the colleges of those two decades of the 60’s and 70’s read this book. Laing came to be a highly sought after speaker at least on the slightly or very avantgarde college circuit. I myself heard him speak twice. Outside of a minority of devotees in international psychiatry, he was viewed as mostly a charismatic oddity and very much as a product of what was going on those days and years. The only fairly well regarded psychiatric researcher practitioner who practiced in an arena that could be regarded as in the camp of psychiatric treatment without medication was Sir Humphrey Osmond also of the same time period. He was more mainstream and a clinical researcher. His departure from the mainstream or whatever one wants to calls the ?silent majority? of psychiatrists was marked by his openly peer reviewed and published trials of hallucinogenics, mainly LSD in the treatment of psychiatric issues ranging from psychoses to the terminally ill. Most if not all his data was anecdotal, case reports of fantastic religious like euphoric life changing experiences of LSD for patients. The response to his work was underwhelming, to say the least in all fairness. In those times of the experimentation with LSD, DMT and the other designer hallucinogenics, many of us standard, perhaps stuffed shirt psychiatrists did not see these wonderful results. All I remember as a green medical student and then a green psychiatric resident was handling people in great psychiatric distress, having hours and hours of terrifying LSD induced experiences that were unnerving to witness and work with and for a while hard to treat. So the rest of us had a different view of the hallucinogenics. The use of ‘natural’ hallucinogens such as psilocybin in Native American cultures is different for the most part and I will not address that here as it is altogether different. In spite of my huge built in bias and years of standard experiences in the current world of psychiatric treatment, I want to see what the Norway efforts and experimental treatment models can accomplish, what they evolve into, what factors they may be able to tease out since we no longer have too many sponsored or approved studies along these lines going on in the western world of medicine. I can predict that almost all “IRBs, “Institutional Review Boards” of clinical psychiatric research centers would almost never give approval to such work. More the pity as perhaps there are still interpersonal and talking therapy approaches that work better than others with standard inpatients and it might be possible to see those stand out in relief without medicines in some patients. I am more than willing to give the Norwegian effort a go at things and am personally glad that it is possible. I hope that it is studied “up one side and down the other,” that as much data as possible is gathered and presented to the world of treatment practitioners for all to review. Lastly, I must comment on the other rare element contained in this article, all my own past bias coloring experiences aside. This article goes to great and eloquent lengths to trace the history of various politico-social movements that have grown in Norway, and to at least comparable extent in the most of the other Scandinavian countries, of the right of what I would call a different form of self-choice, self-determination that almost has little or no parallel in our social views, spoken and unspoken mores and standards. The narrative of the author is marvelously woven drawing upon years of social thinking in Norway, exemplified by various social thinkers, commentators, critics, leaders of a number of “citizen advocacy” groups as I would term them. The author successfully brings the reader to a depth of historical feel and appreciation for how all this has developed in Norway so that even if you are not an instant convert, you can very much appreciate this psychiatric treatment model’s origins and roots. For this reason alone, this blog post is well worth the read. The Mental Health Reform Blog Create a free website or blog at WordPress.com.